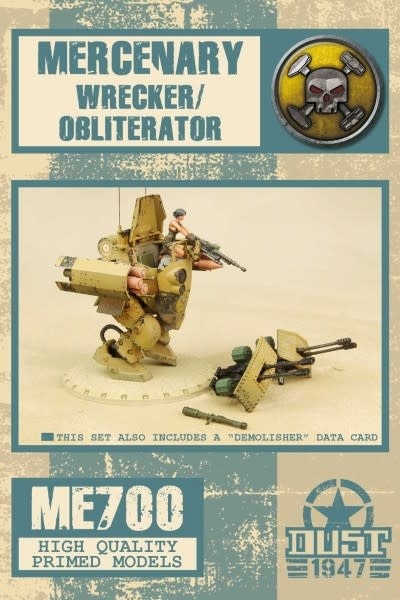 The Wrecker is a dedicated anti-aircraft walker with a Mercenary twist. 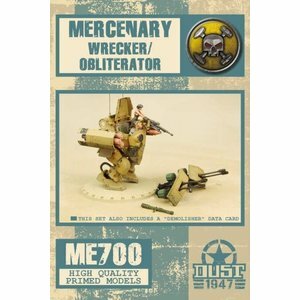 The Demolisher has identical weapons, and is the personal mount of ace Mercenary pilot Luisa. 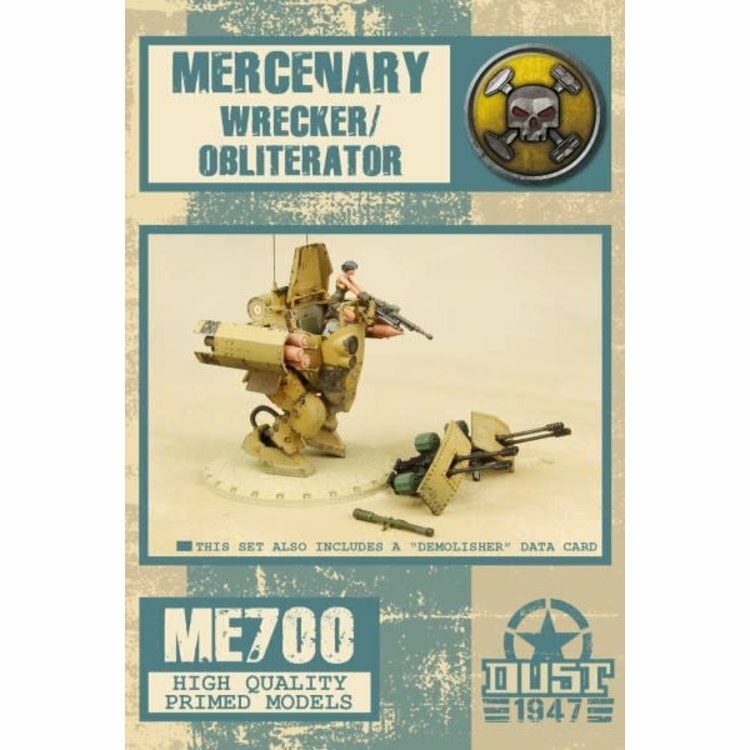 The Obliterator also combines SSU and Axis weapons, but this time to blow up tanks! This reference allows you to field one of these three variants. As with any Mercenary units, these walkers can be attached to any force in Dust 1947. Please note that all weapons options are included in this box, as well as the pilot (in resin) and the recoiless gun. This reference comes with three Dust 1947 unit cards, one for each variant. Like all regular Dust 1947 miniatures, it comes already pre-assembled and primed. It's ready for the battlefield, or for painting, as you wish! You can directly paint over on it, since the priming serves as an undercoat and is compatible with any type of paint.